The victim of a landlord/tenant dispute that turned deadly on July 25 was stabbed eight times, according to the recently released coroner’s report. The report states that Peter Gillespie, 63, was stabbed with a pair of scissors in the neck, chest, leg, left shoulder and left forearm. The coroner’s report was signed by the Coconino County Medical Examiner, Lawrence Czarnecki, who labeled multiple stab wounds as the cause of death and the manner of death a homicide. Gillespie was killed after he got into an altercation with his tenant, James Womble, over past-due-rent. The incident ended with Womble stabbing him eight times with a pair of scissors, according to the police report. Womble claimed self-defense, stating that Gillespie bumped him and threw him to the ground, causing his arm to go out of socket. 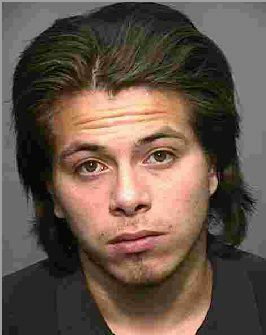 Womble was arrested by police for second-degree homicide, but he has not been charged with a crime by the Coconino County Attorney’s Office. The coroner's report was only recently released. The county attorney’s office was waiting on the results of the coroner’s report as well as forensic lab work from the Arizona Department of Public Safety. Members of the county attorney’s office could not be reached for comment on the coroner's report. The report also showed that Gillespie tested positive for THC and Cannabinoids, indicating that he had marijuana in his system at the time of his death. The report stated that Gillespie tested negative for any other drugs or substances, including alcohol. Sharon Thompson, who knew Gillespie for 25 years, told the Arizona Daily Sun in August that Gillespie frequently used marijuana. Stabbed eight times, doesn't sound like self defense. How come there are no reports about the physical condition of Wambel ? Was he beat up ? No doctor"s report ? No toxicology report ? The only thing we know about him besides claiming self defense is that he repeatedly stabbed an old man to death and that he hasn't been charged with a crime.